The Citroen DS is one of the cars nominated as an automotive legend. Is the Citroen DS, built between between 1955 and 1975, the most legendary car of the past 13 decades? 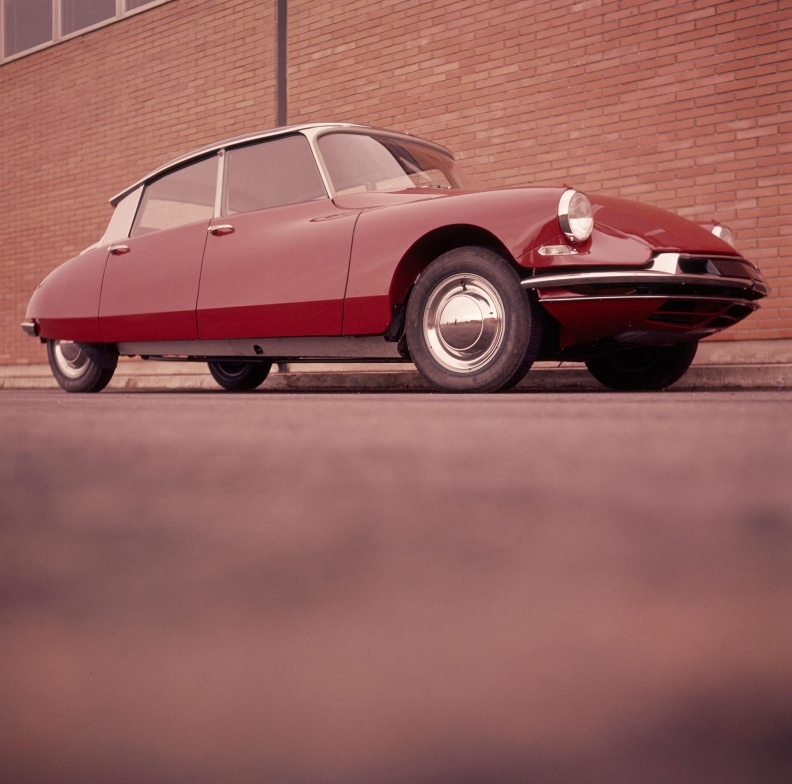 Citroen sold 1.5 million units of the DS, which won high praise for its beautiful design, advanced ride quality and handling. The car is among many classics nominated in the "Legends on Wheels" awards. Between now and June 29, ANE readers can vote for the car they consider to be an automotive legend from candidates pictured at www.legendsonwheels.com. Automotive News Europe and MSX International have teamed up to present the unique "Legends on Wheels" awards to celebrate the 125th birthday of the automobile. The awards also honor unique concept cars and "future legends." An expert jury has preselected 10 legendary automobiles from each of the last 13 decades. Some examples include the Jaguar E-Type, Mercedes 300 SL, Ford Mustang and Citroen DS. The "Ultimate Legend on Wheels" will be chosen from the winners of each decade. Readers also have the opportunity to add a legend of their own. Top-level managers from automakers, suppliers and service providers will celebrate the winners on Tuesday, Sept. 13 at a special ceremony during the IAA in Frankfurt. Participants in the contest can win as well. First prize is an invitation to the "Legends on Wheels" ceremony in Frankfurt including transport and accommodation as well as entry to the IAA. ANE and MSX International will also raffle 125 limited-edition Ford Model T silver coins.